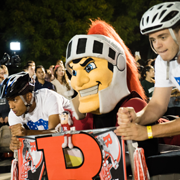 Be a part of the Rutgers Homecoming tradition and at these can’t miss events celebrating our Scarlet Knight spirit and pride! 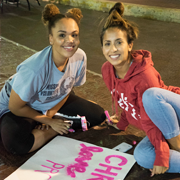 Stop by the bed race tent on Morrell Street for a fun night of decorating by members of student organizations competing in the Homecoming Charity Bed Race. BED RACES ARE BACK! 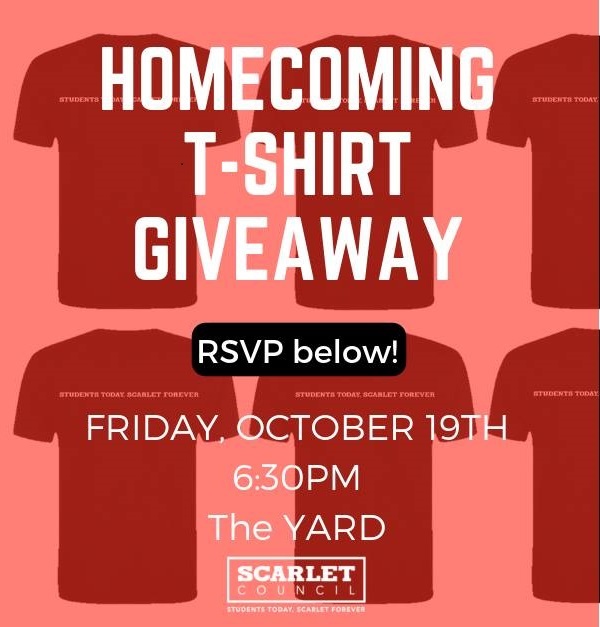 Come out to celebrate Homecoming and cheer on your fellow Scarlet Knights all while supporting a great cause! Watch teams of students race down Sicard Street (right behind the College Avenue Student Center) at our 11th Annual Homecoming Charity Bed Races! 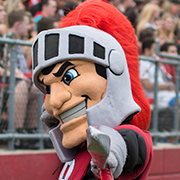 Join fellow students and fans as we pack the stadium and cheer on our Scarlet Knights! For more information and tickets visit scarletknights.com. 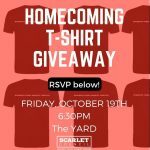 Want a free homecoming T-shirt?! Come to the Yard on October 19th at 6:30pm!